If you have scheduled a bed bug extermination and haven’t prepared your home for it, it’s best that you start now. Remember, pest control experts might be skilled at what they do, but don’t expect them to plastic wrap the bananas before they fumigate your home. 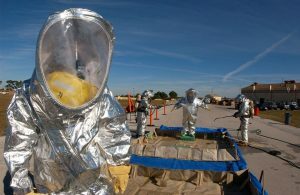 Fumigation is done by professionals. Never make the mistake of moving an item that you suspect might be infested. You do not want to drag an infested sofa out into the hall and risk infesting the entire condo floor. Do not relocate the items in another home either. If you aren’t sure whether the curtains are infested, heat them. Bed bugs cannot survive in temperatures of 120 degrees so any hidden pest is sure to scamper out. Leave the curtains for the professional pest controllers if anything does come out. If you think that some items might not be as infested, it is still a good idea to wash and dry them in the dryer at the highest setting. 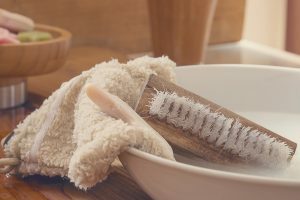 Wash reusable items in hot water. Make sure that the settings are not high enough to damage the clothing but just enough to kill any lingering bed bugs. Also, make sure that you keep them well away from items that you feel may be infested. In order to ensure that no hitchhiking bed bug latches onto them, keep them in zip locked or plastic trash bags. Of course, not all items that the pests can hide in can be laundered. Some items like hard toys, electronic items or books do not fare well in water. Once you manage to persuade Junior to let go of his infested locomotive, keep it, and any other item that cannot be washed, inside a bag. Clothes that need to be dry-cleaned should be taken to the cleaners before the pest controllers come knocking. Just make sure that you tell the dry cleaner that your clothing may be infested with bed bugs. It’s only fair. Not all dry cleaning services are equipped to handle infested clothing. The pests like to hide wherever they can, even behind the picture frames on the walls. Take a peep behind them. If you find anything that looks like a moving apple seed, remove the frame and place it on the floor with the back facing upwards. The pest control expert will see them there and go at them. Do the same for any magazines or books that haven’t been opened and are just gathering dust. Pests love to hide under objects that haven’t been moved in a while. It is easy for them to get under the pages of a thick paperback with their thin bodies. If you find some under the pages, put the books in tightly sealed bags for three weeks. Keep the bag isolated and away from the bedroom. The more the clutter, the more places the pests have to hide under. And besides, the pest control expert will have a harder time ridding you of the bloodsuckers if he has a mountain of clutter to go through first. Give any clothing that you don’t need to charity. This does not include clothing or other useless items that are infested with bed bugs. If yours isn’t, take your clothing somewhere else. You do not want the cleaners to end up with your problem. 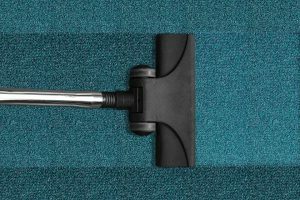 Any carpets, mattresses or other surfaces must be vacuumed. This will rid you of any live or dead bed bugs that might be hiding between the fibers. Be sure to vacuum thoroughly. Don’t dally after that. Remove the vacuum bags and dispose of the trash in the trash can outside your home immediately. This will ensure that the pests do not come back. Remove the items from your dresser and put them inside the dry cycle for 20 minutes. Remove the items from the bookshelves as well. The pest controller will need unhindered access to the shelves so it’s best that you remove anything that the pests can hide under from the fumes. Move any heavy furniture, like your bed or closet 30cm away from the wall. Your pest controller will probably help you in this regard. This will make it easier for the exterminator to spray in every nook and corner. Make sure that you empty the closets before the extermination begins. If you do not want to keep infested furniture, make sure that you dispose of it responsibly. In other words, you can dismantle or deface the items enough to ensure that they can never be used again. Items such as mattresses or bedding must be ripped or slashed. It won’t take you that long. Plus, it may spare someone else from dealing with your problem. Remember, your pest problem can become a passing memory faster if you are responsible about how you prepare your home for the extermination and disposing any infested items.